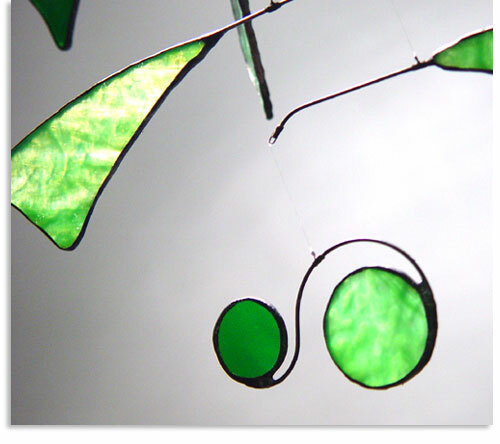 This kinetic mobile is handcrafted using lime green opague stained glass with green water glass, steel rod and lead free solder. Each pennant measures 4 inch diameter and its arm length 3 inches. Mobile height is approximately 13 inches. Truly a fantastic mobile for a small window needing to come alive.